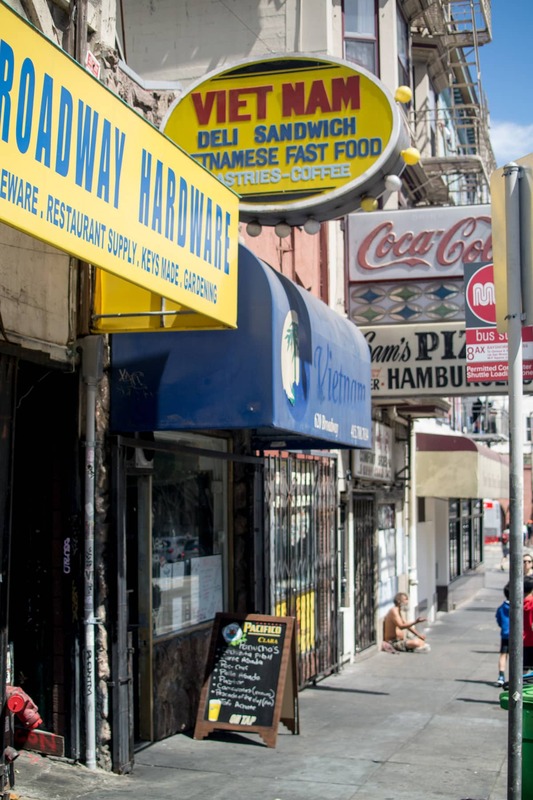 Great for a solo lunch at the counter, take out, but probably even best for a late-night bite to soak up all of your boozy North Beach mistakes. They’re open til 3 AM! 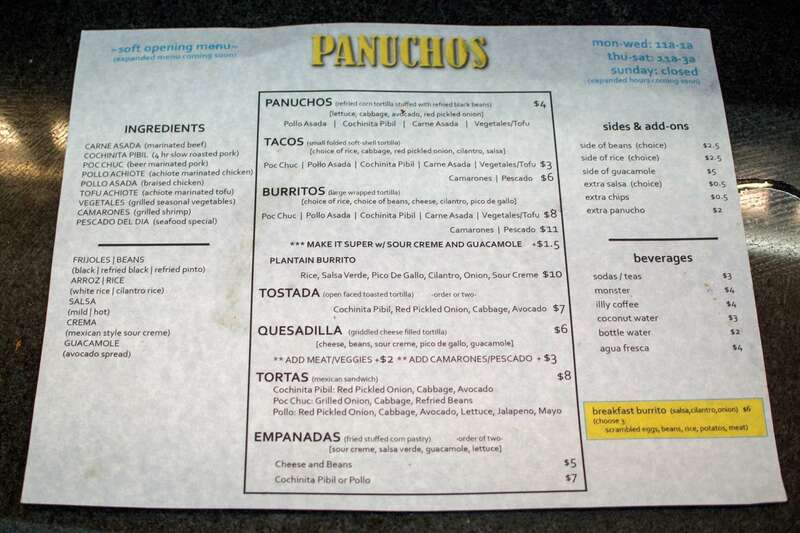 Panuchos is very new to the neighborhood (they don’t even have a shop sign yet), so look for the old Vietnam sign. At the moment they’re working with a soft opening menu, which if I’m being honest is still quite extensive already. 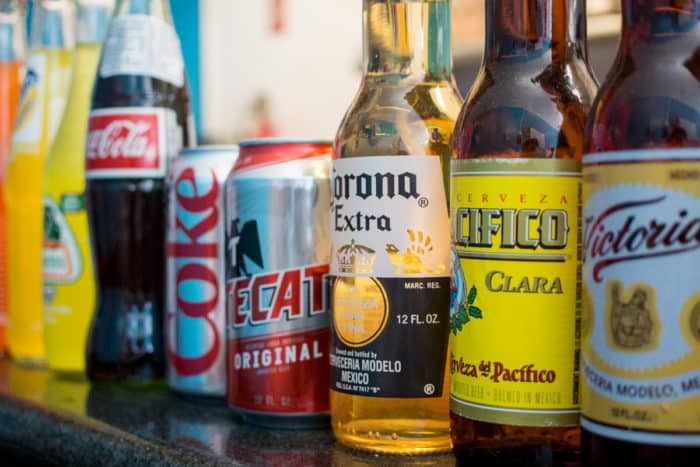 It involves all the Mexican usual suspects along with — of course — their namesake, panuchos and a few other surprises. Besides the fact that they’re making this particular unusual Mayan dish, I know you’re wondering what’s makes this place so special? Well, here’s some questions you could ask. Is every dish made to order? Is every dish made completely from scratch? Do they roll balls of masa and hand-press them to order? Do they slow-roast their meats to tender perfection? Do they have vegetarian dishes that even the most die-hard meat-eater would love? You already know the answers — a resounding “yes!” to all of the above questions. 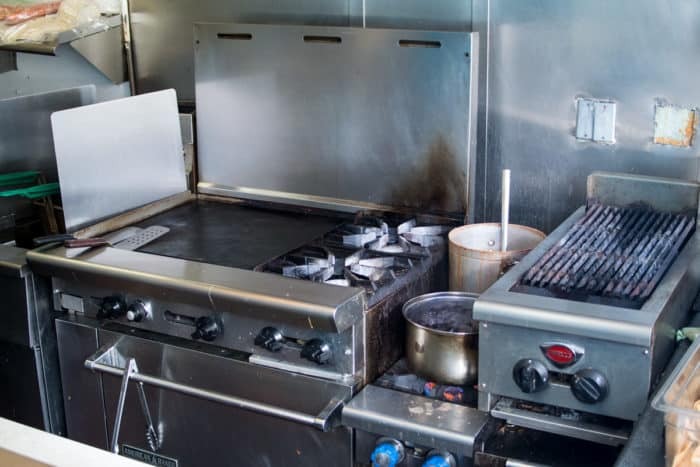 And the time and care they take with each of their dishes and ingredients clearly translate to the amazingly unique and authentic flavors that they’re achieving in that tiny open kitchen. 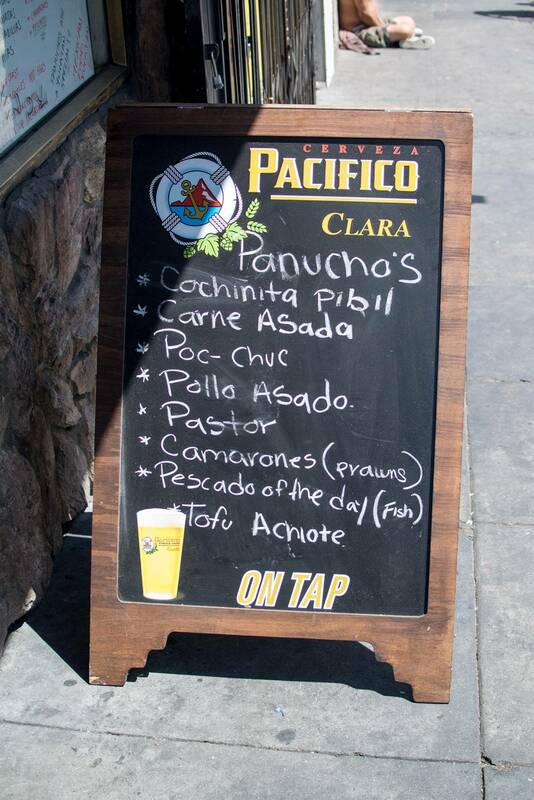 So, get to Panuchos as quickly as you can. I’m calling it now — pretty soon it’s going to be damn near impossible to just walk in and grab a seat at the counter without a wait. This food is that insanely good and reasonably priced too — it’s not going to remain under-the-radar for long. 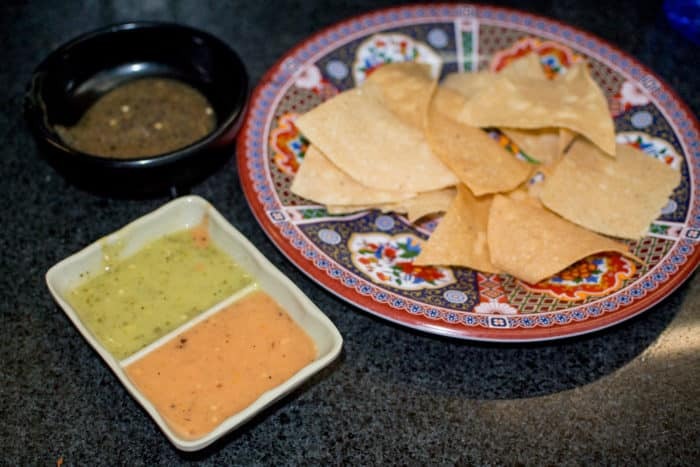 Simply excellent, well-salted tortilla chips, but it’s their handmade salsas that really shine here. Such wonderful, vegetal flavors. And that poblano hot sauce, fiery yet smokey and flavorful! This isn’t even on the menu yet, but the owner was whipping up a trial batch and gave me some to try while I was seated at the counter. This is another Yucatan rarity — a dip/topping made mostly of fire-roasted tomatoes and calabaza (pumpkin) seeds. Interestingly it came topped with slices of hardboiled egg. It was thick and creamy kind of like a hummus, but with a very unique spicy, earthy, nutty flavor profile. It was rich and comforting and was a snack unlike anything I’d ever had in a Mexican joint before. I ate it with tortilla chips, but I was told that you could put it in tacos or on nearly any Mexican dish you can think of. The shop’s owner told me it’s especially good when paired with beer — I believe it. 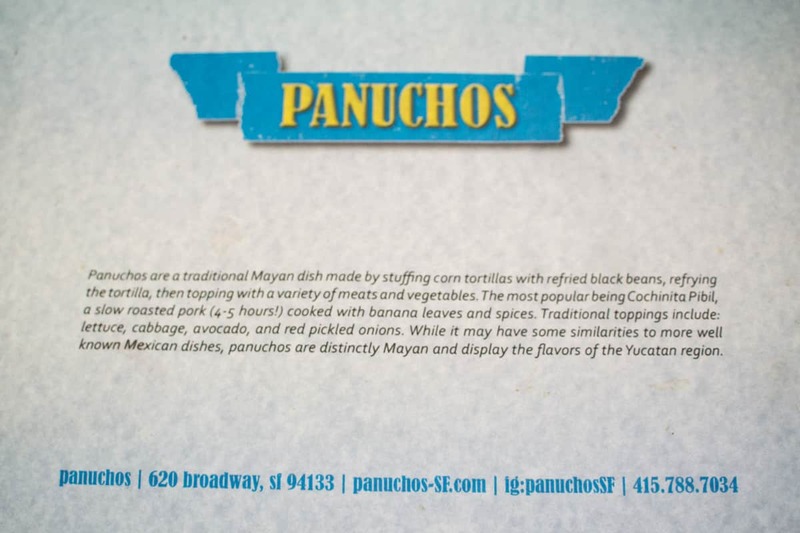 This Mayan specialty dish is found almost nowhere in the Bay Area, even amongst the impressive and incredibly diverse Latin American food scene in San Francisco. 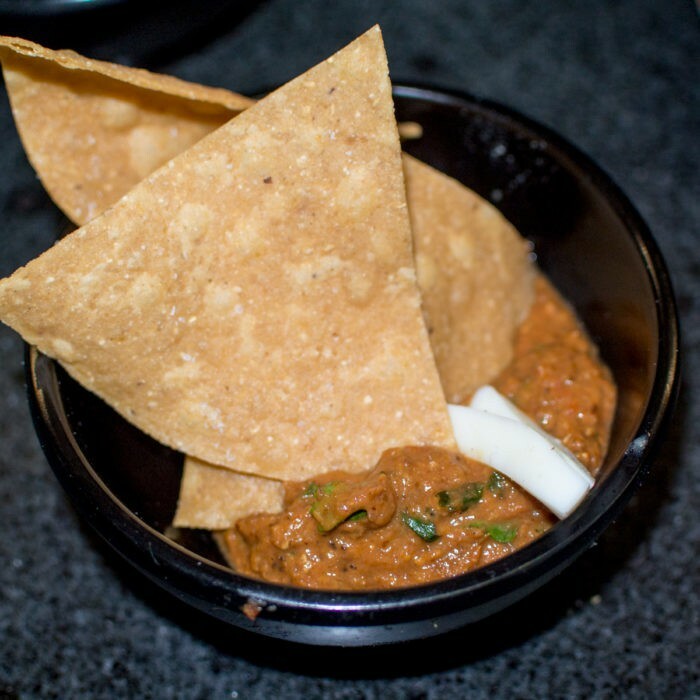 The dish has similarities to both tacos and tostadas in that a pile of meat and beans sits atop some sort of masa-based surface. But, it’s that surface that makes this dish so special and unique. 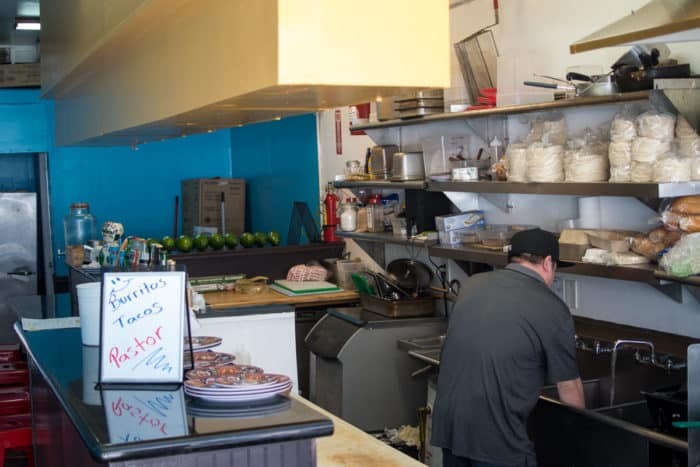 Two discs of fresh masa get sandwiched and pressed around refried beans which then gets tossed straight into a deep fryer creating a sort of bean-stuffed tortilla — the panucho. The meat I selected was a four-hour slow-roasted pork that was incredibly tender, flavorful, and satisfying — especially when combined with all of the other flavors and textures that were piled on top such as cabbage and pickled onions. Be patient if you order this dish, because it’s literally made by hand and from scratch to order. But, boy is it worth it to wait. 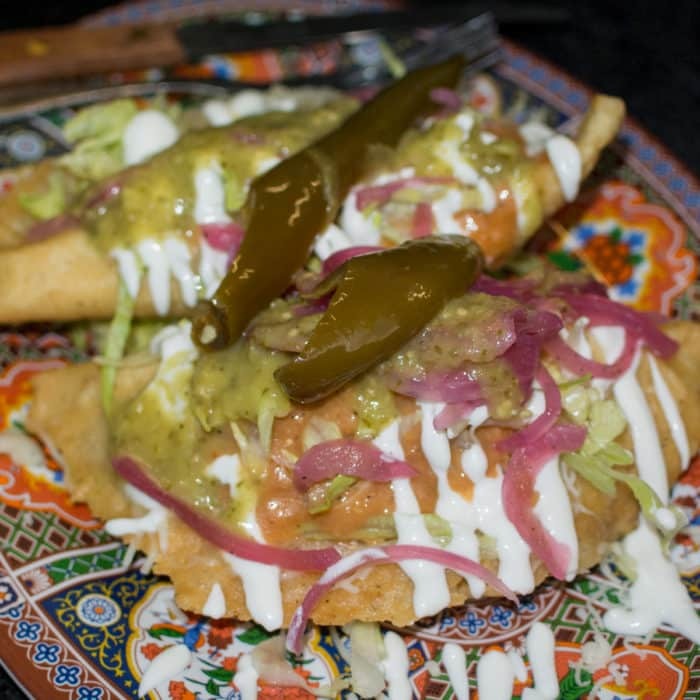 For only $5, you get two fully loaded fried pockets of masa stuffed with awesomeness. You can really taste the corn in the dough which adds such a wonderful earthiness to the dish. This is comfort food to the max. For just a little extra spice boost, I added a bit of that kickin’ poblano salsa to a few of my bites with excellent results. These are absolutely some of the best empanadas I’ve ever had. 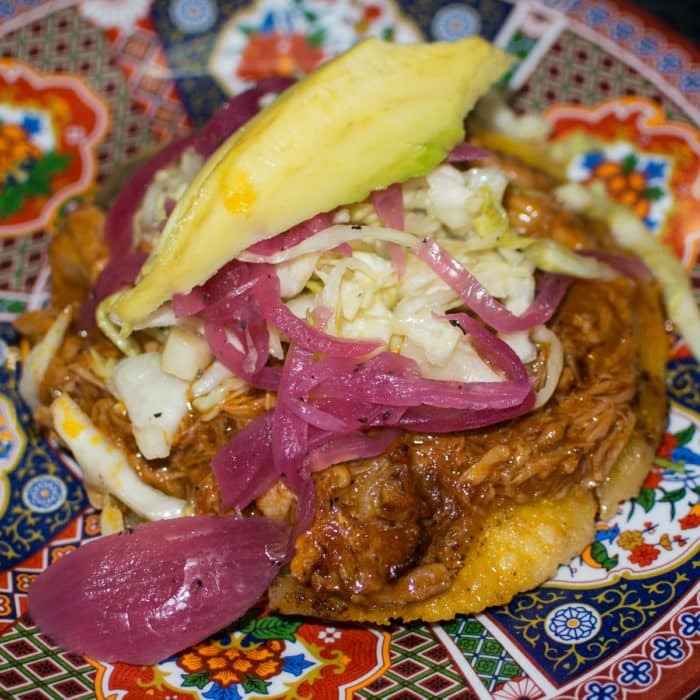 I can only imagine how awesome the Cochinita Pibil filled variety they offer are. I’ll have to return to try those soon. This burrito is legit. 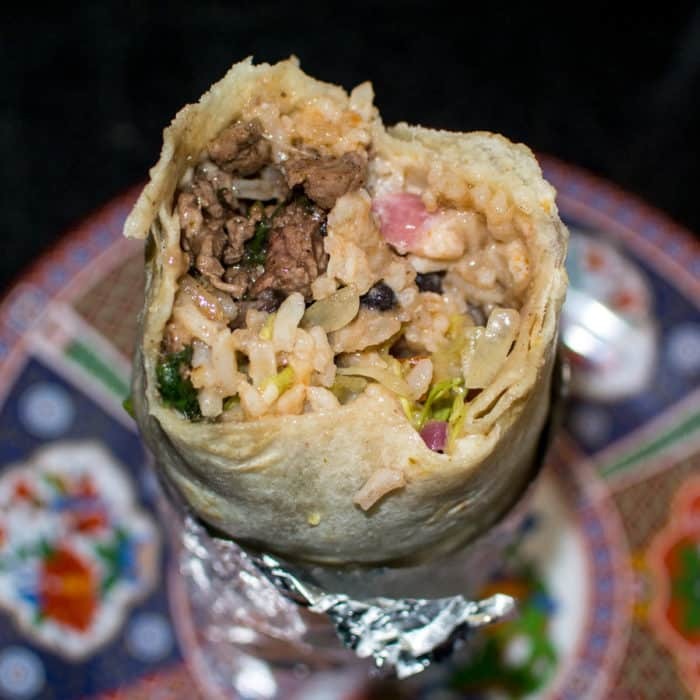 Honestly, one of the better burritos I’ve had in the burrito-saturated SF area. The steak was very tender, well-seasoned, and flavorful. And the rest of the fillings complimented the meat and pliable tortilla perfectly. Not that it needed anything extra, but their salsas and hot sauce paired perfectly with it as well. Milder in flavor than many of the other offerings, but it’s still really good. 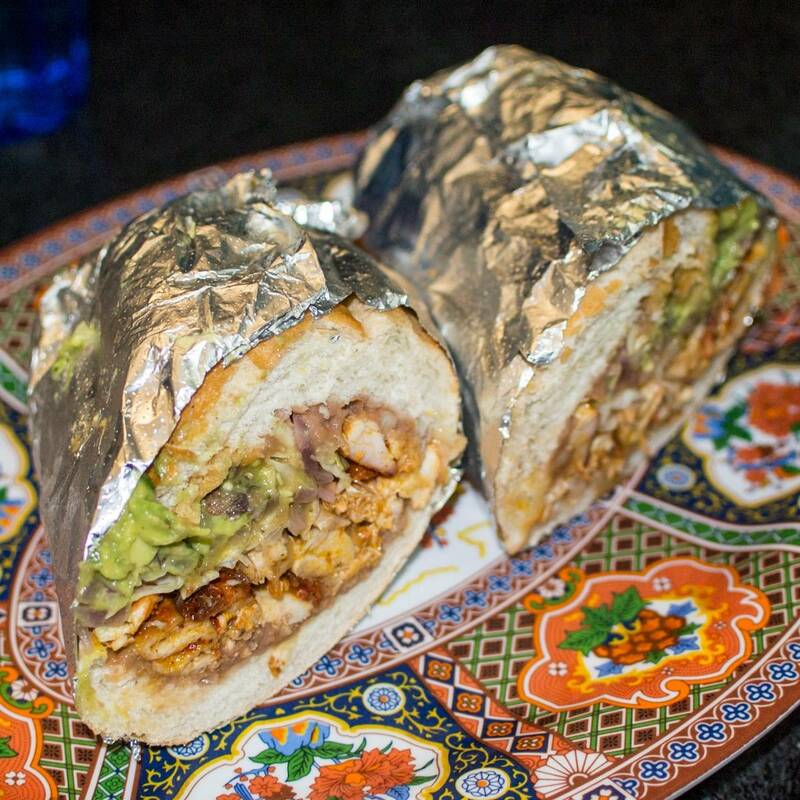 Quality ingredients are the key to this Mexican sandwich, but I’d recommend adding a bit of spicy salsa to it. Might be my favorite dish yet. 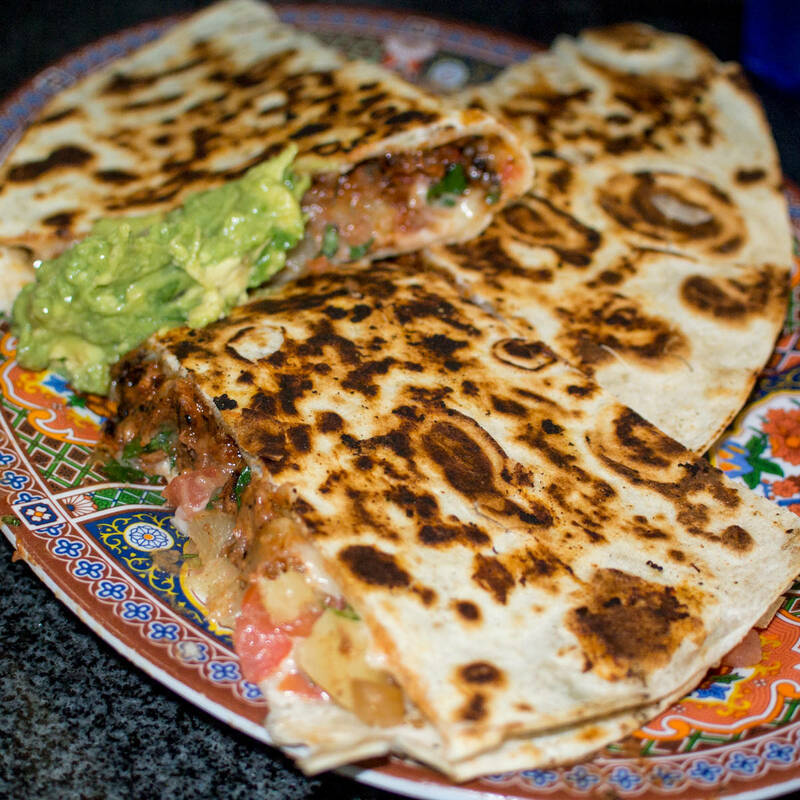 It comes with three massive, fully-loaded quesadilla slices and a nice scoop of guacamole. The al pastor is extremely tender and flavorful. This thing is just awesome. This heaping bowl of hot, hearty soup is a recent addition to the menu. 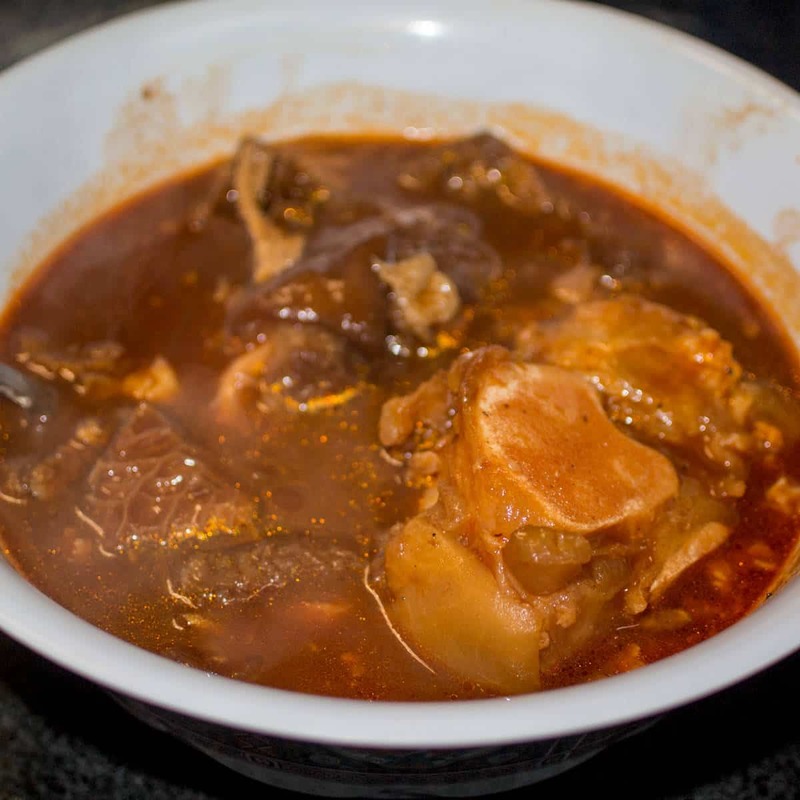 The spicy, herb-loaded broth comes filled with a smattering of wintery root vegetables, many large chewy, but tender pieces of tripe, and a massive pork bone still containing tender hunks of meat and cartilage that are clinging on for dear life. This is comfort food pure and simple — perfect for a chilly San Francisco day. 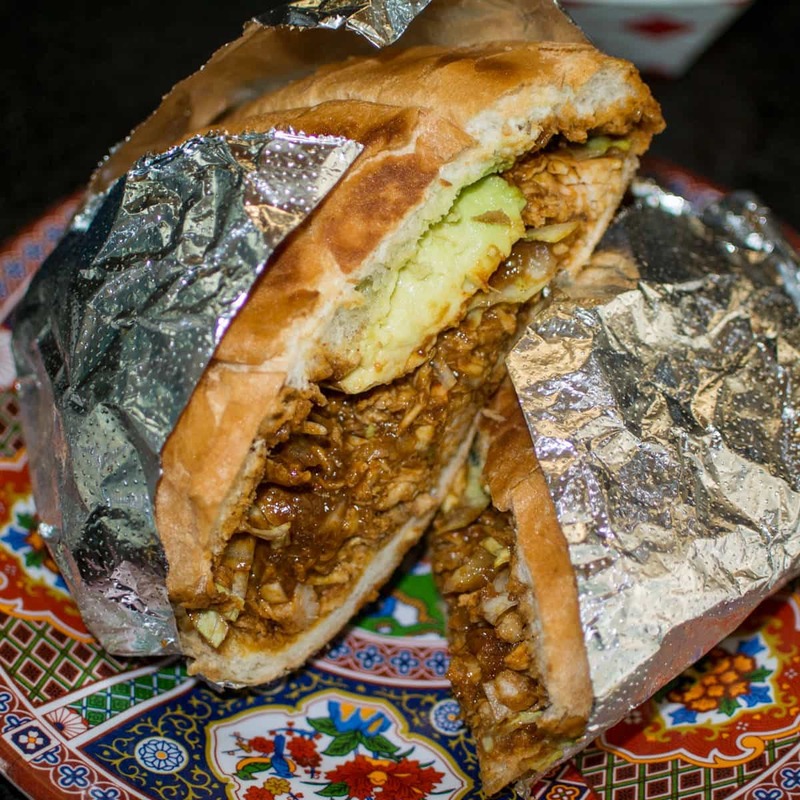 While I found the traditional Torta de Pollo a little light on flavor, I have no such complaint here. In this chicken-based sandwich, the shredded chicken comes smothered is well-spiced chocolate mole sauce that is just plain delicious. It’s got that sweet and spicy combination on lock.